Celebrity chef and gonzo food and travel journalist Eddie Huang is famed for his love of flashy streetwear and '80s hip hop. 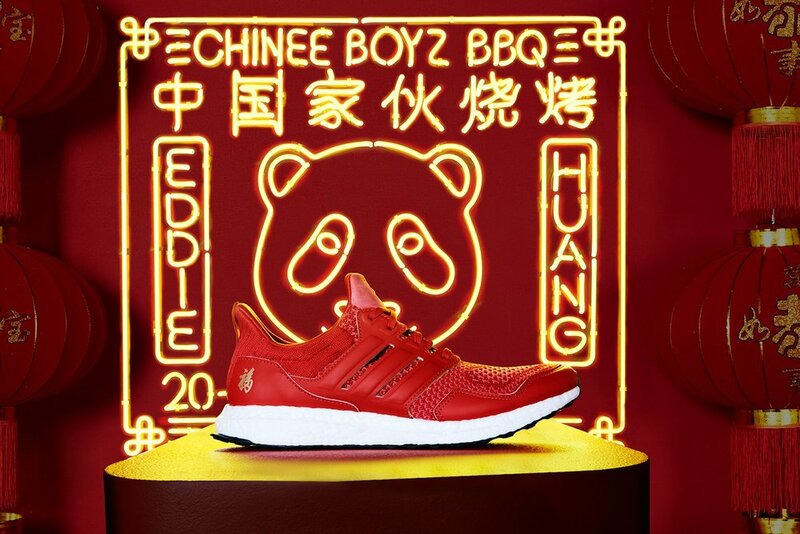 His Chinese New Year edition of the UltraBOOST comes with a lucky all-red adidas Primeknit upper that's supportive and flexible. The shoes are cushioned with Boost for an energized feel. Releasing today at selected retailers such as Sneaker Politics.